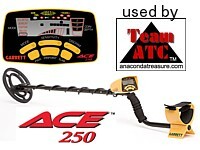 Anaconda Treasure.com carries the very best metal detectors and accessories, manufactured by Garrett, and we guarantee our detector prices to be lowest on the internet! 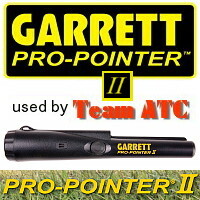 Why buy detectors from ATC instead of some other dealer? 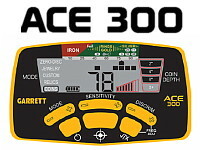 When you buy from ATC, you not only get the quality Garrett machines at rock bottom prices, but you also get the support you need from a reliable dealership headed by people that actually use the equipment themselves. K.G. 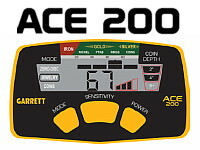 and the Ringmaster of Team ATC have proven over the years that these machines are worthy of high praise, finding literally thousands of lost coins and artifacts. Want proof? Watch the EMD DVD series! 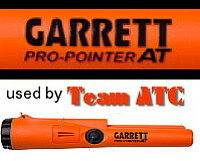 Watch a demonstration video on the incredible new Garrett Pro-Pointer! Check for specials we may be running by asking via the ATC contact page. Orders are usually shipped within 5 business days, unless there are factory delays. Once you place an order, you will receive a confirmation email, and then you will be notified again via email with tracking information when the order has shipped. Email us with any questions on expedited shipping and/or in-stock availability. 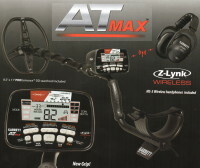 Free Shipping in USA on all Detectors! ALL ORDERS SHIPPED TO VALID US ADDRESSES ONLY! 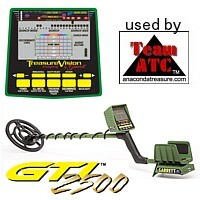 METAL DETECTORS AND METAL DETECTING EQUIPMENT LISTED ON THIS PAGE SHIPPED TO VALID US ADDRESSES ONLY. All sales on this site are limited to the United States. 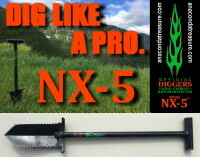 If you wish to purchase an NX-5 or NX-6 shovel in Europe, please contact DTI (Detector Trade International), our European distributor, at the following link: DTI METALLDETEKTOR-SHOP. 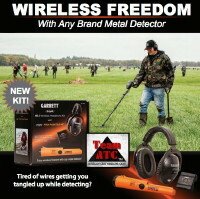 If you need to locate a Garrett metal detector dealer in your area outside of the USA, please visit Garrett.com for a list of worldwide Garrett dealers. If you have any other questions about shipping for anything on this site, please email us in advance of purchasing! Thanks! 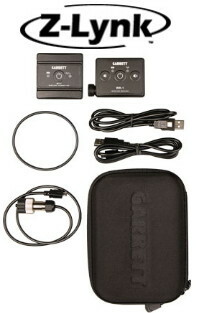 Garrett detectors are currently about 4 to 10 days out on shipping. Go WIRELESS! 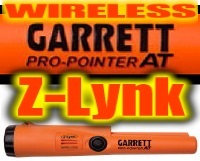 Make your Garrett or almost any other brand detector a wireless machine with the new Garrett Z-Lynk Wireless Pro-Pointer AT kit! Recommended for: Coin Hunting, Jewelry Hunting, Relic Hunting, Prospecting, Ghost Town Hunting, Competitions, Beach/Fresh Water Hunting. Standard or Professional search modes with enhanced audio features. 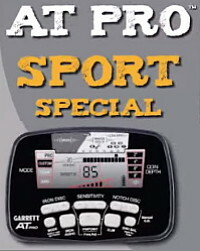 AT Pro is Garrett's all-new, all-terrain, all-treasure, deep-seeking, professional treasure hunter's detector. 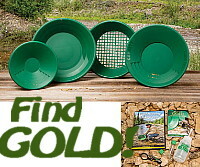 Recommended for: Gold Prospecting, but can also be used for Coin Hunting, Jewelry Hunting, Relic Hunting, and Beach/Fresh Water Hunting. 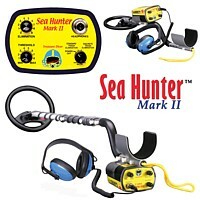 Operating depth to 200 feet; includes submersible headphones! Rugged and reliable. Perfect all-purpose digger! Strong carbon steel blade with cutting teeth edge. 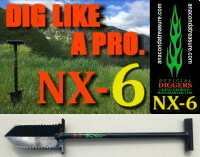 Non-slip blade guard with comfortable rubber handle. 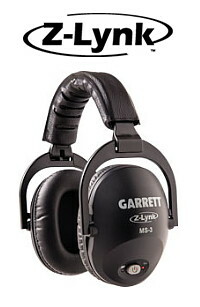 Includes Garrett carry sheath for belt mount use. 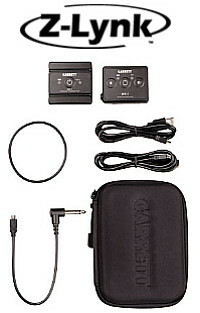 Transmitter and receiver with 1/4" headphone jack connector. Transmitter and receiver with 2-pin AT connector. 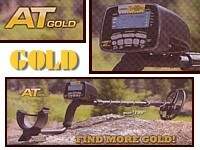 For use with AT Gold, AT Pro, AT Pro International, Sea Hunter Mark II and ATX Metal detectors. 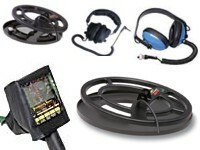 For any style metal detector with 2-pin AT connector or 1/4" headphone jack. 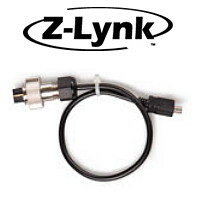 NOTE: WT-1 Transmitter requires a Z-Lynk Headphone Cable with 2-pin AT connector (PN: 1627410) if using it with an AT Gold, AT Pro, AT Pro International, ATX or Sea Hunter Mark II. 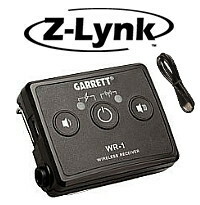 NOTE: WR-1 Receiver requires use of headphones with 1/4" headphone jack connector. 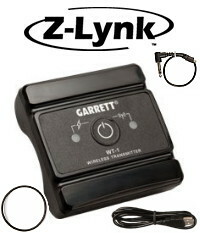 Built-in Z-Lynk™ receiver. High-fidelity audio. 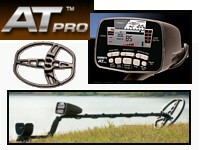 Looking for upgrades or extra equipment? 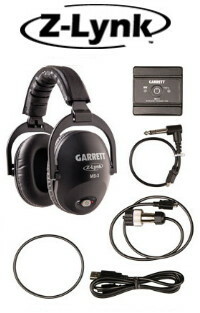 Email us for prices on hundreds of Garrett accessories and parts for your metal detector. Copyright © 2019 Team ATC. All rights reserved.